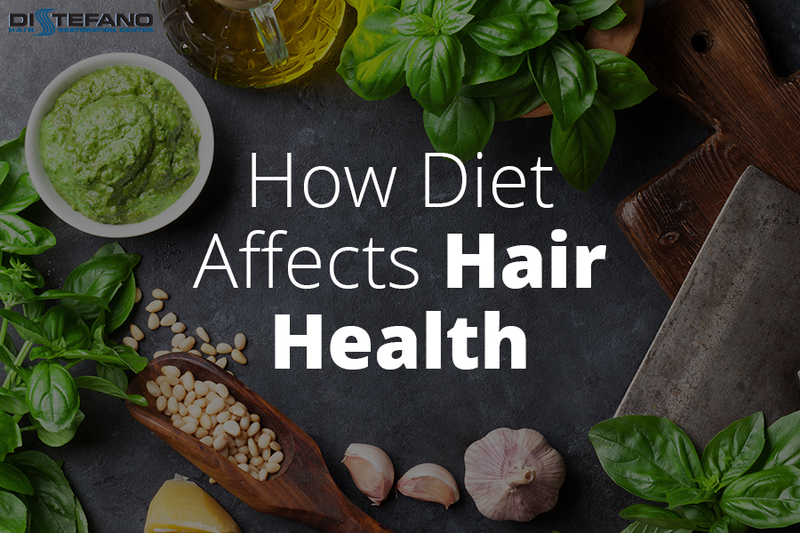 While using the right hair care products can improve hair health, diet also makes a big difference. Find out how to keep hair stronger and healthier with nutritious food. Vitamins B6, B9, and B12 are integral to the creation of red blood cells, which transport nutrients and oxygen throughout the body. A healthy scalp depends on a person consuming enough of these vitamins for healthy levels of oxygen to reach it. A lack of these vitamins can result in hair that grows too slowly or is weak and brittle. B6 is found in a wide range of foods, including oatmeal, potatoes, garbanzo beans, carrots, avocados, and strawberries. Get a healthy dose of B12 by consuming seafood, dairy products, and various kinds of nut milk, among other foods. Also called folate, B9 appears in many foods including spinach, beans, berries, and papayas. Iron is an essential element that aides red blood cells to carry oxygen. Insufficient iron levels lead not only to debilitating conditions such as anemia but also to possible hair loss in women and men. To get enough iron, eat dark green vegetables, beans, and whole grains. Meat is an excellent source of iron, and the iron found in meat and fish is more easily absorbed by the body than the iron in plants. Also crucial for hair health is zinc, which helps with hair growth and building hair protein. Both iron and zinc are needed for the formation of keratin, which is the primary component of hair, and according to the International Journal of Trichology, a zinc deficiency can result in considerable hair loss. To get adequate levels of zinc, try eating more seeds, mushrooms, cashews, pecans, and peanut butter. It’s well known that consuming too much sugar can cause a number of health issues. According to a 15-year study published by JAMA Internal Medicine, participants in the study who consumed 25 percent or more of daily calories as sugar were more than twice as likely to die from heart disease than those whose diet included less than 10 percent added sugar. But sugar isn’t just a danger to heart health. Sugary foods complicate the body’s chemistry; the resulting spike in blood sugar results in too much insulin and androgen production. Androgen is a hormone that can make hair follicles shrink, leading to hair loss. To start cutting back on sugar in a small way, try forgoing sugary sweets like pastries and doughnuts for breakfast and instead opting for a bowl of oatmeal with fresh fruit. In addition to carbohydrates, a healthy body needs a healthy balance of protein and fatty acids. Hair is made of protein, so a proper intake is necessary for hair health. Protein is found in meats, beans, lentils, peas, broccoli, sprouts, and many other foods. Essential fatty acids strengthen hair and improve its texture. Good sources of fatty acids are pumpkin seeds, nuts, and vegetable oils. Vitamin C isn’t just for taking whenever a cold comes along—hair follicles can also benefit. Vitamin C works with iron in the transportation of oxygen by red blood cells. It also helps form collagen, which hair follicles need to stay healthy. Vitamin C is found in many fruits and vegetables, including oranges, grapefruit, pineapple, bell peppers, and tomatoes, to name a few. The doctors at Distefano Hair Restoration Center can offer additional nutritional and hair maintenance guidance for healthy hair. We can also consult with you regarding hair loss restoration techniques. Contact us today at 800-785-4247 to schedule an appointment.